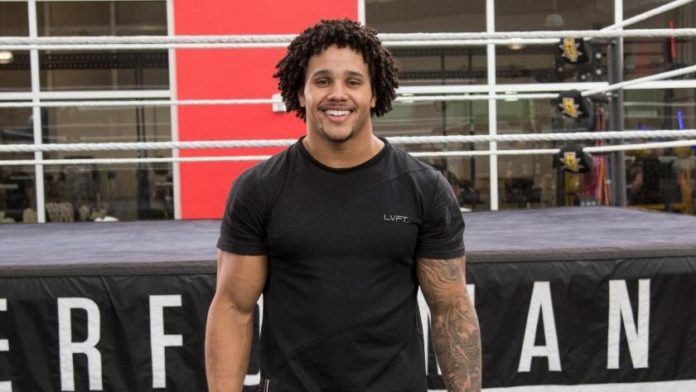 WWE NXT Star Stacey Ervin Jr. has asked for his release from the wrestling company after a recent concussion scare, according to reports. This news was first broken by Casey Michael from Squared Circle Sirens who noted on Twitter that the NXT Star has requested a release and WWE Officials have given him some time to reconsider his decision. However, while Casey reports that people in NXT think that he’s 100% done, Pro Wrestling Sheet is reporting that Stacey has decided to take some more time before making a final call. Stacey had a tryout with WWE back in February last year and in May it was reported that the company has decided to sign the former amateur gymnast. He wrestled his first match for the brand in September the same year during a Live Event. Though it took some time before he made his on-screen debut on January earlier this year. His request for a release is especially surprising considering the fact that recent reports suggested both him and Eric Bugenhagen had been receiving rave reviews backstage. As of this writing, WWE has not confirmed these reports but Stacey Ervin has removed all reference of WWE and NXT from his social profiles. We’ll keep you posted on the matter.